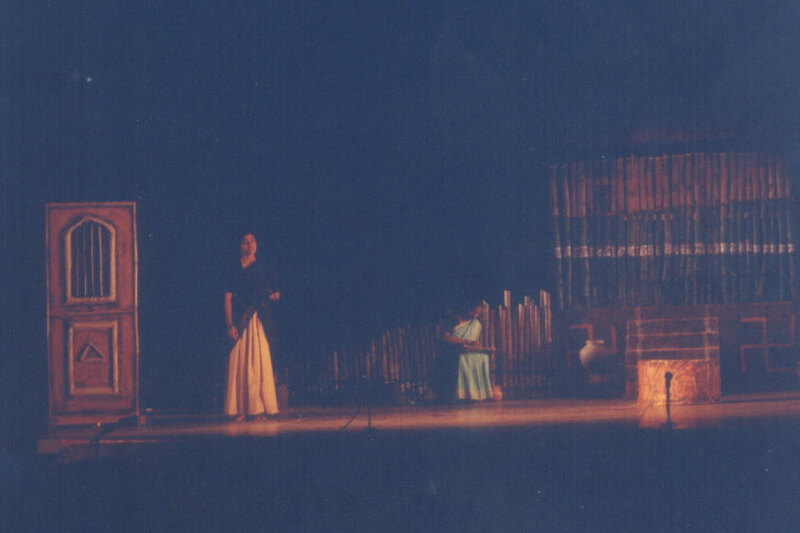 Ashadhkaek din is a three-act play centered on Kalidas’ life, sometime in the 100BCE-400CE period. 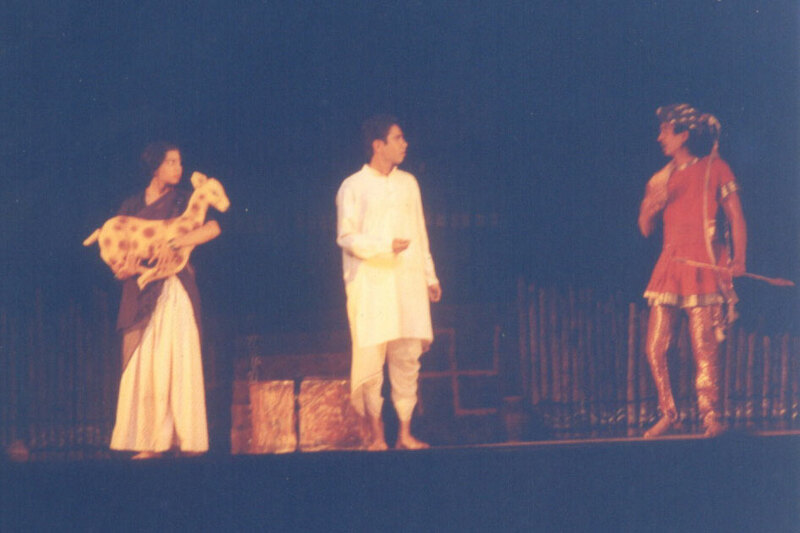 In the first act, he is leading a peaceful life in a Himalayan village and is romantically involved with Mallika. However, he is invited to appear at King Chandragupta II’s court in far-off Ujjayini. Torn between his current idyllic existence and love on one hand, and the desire to achieve greatness on the other, he leaves for Ujjayini in a conflicted state of mind. Mallika wants the best for the man she loves, so she encourages him to go to Ujjayini. 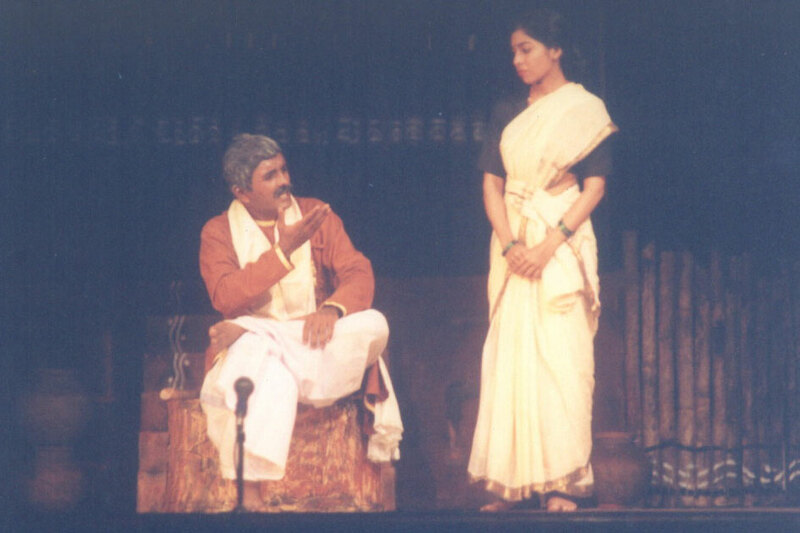 In the second act, Kalidas has achieved fame and is married to a sophisticated noblewoman, Priyangumanjari, while Mallika is heartbroken and alone. Kalidas visits his village with his wife and a small retinue. He avoids meeting Mallika, but Priyangumanjari does. Priyangumanjaridemeaningly offers to help Mallika by making her a royal companion and marrying her to one of the royal attendants, but Mallika declines. 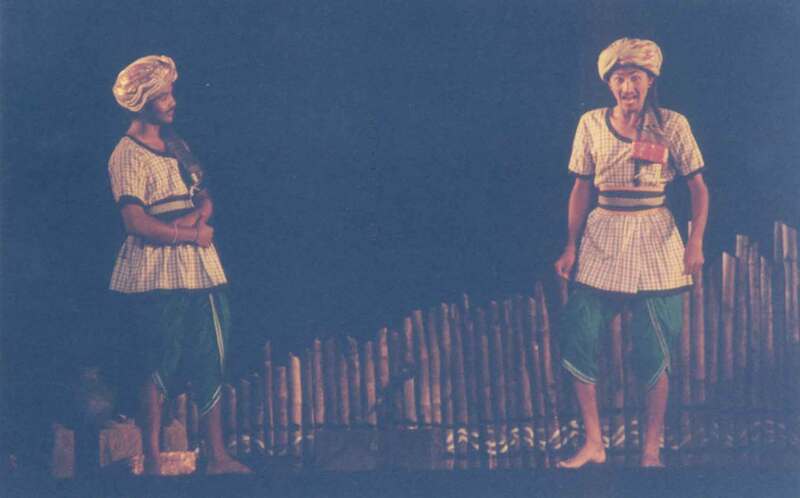 In the third act, Kalidas reappears in the village. 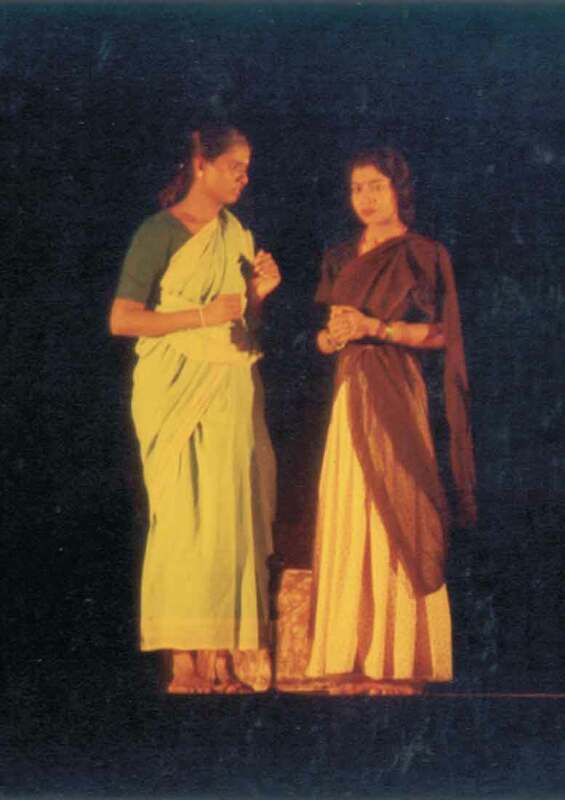 Mallika( with her mother Ambika dead )is now married to & has a daughter from Vilom, a kind of Villain whom Mallika&Kalidas always hated for questioning their relationship from a worldly perspective . Mallika learns that he has renounced his courtly life and the governorship of Kashmir that he had been granted. Kalidas comes to see Mallika but, learning of her situation, despairs. The play ends with him leaving her house abruptly. Mallika, in a soliloquy says, “Even if I did not remain in your life, you always remained in mine. I never let you wander from my side. You continued to create and I believed that I too am meaningful, that my life is also productive. One critic has observed that each act ends “with an act of abandonment on the part of Kalidasa: when he leaves for Ujjayini alone; when he deliberately avoids meeting with Mallika during his subsequent visit to the village; when he leaves her home abruptly. 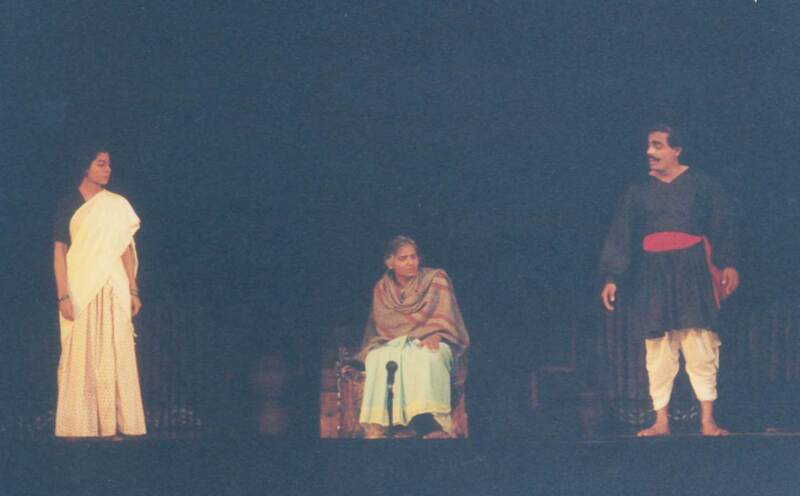 The play portrays the personal price that both Kalidas and Mallika pay for his decision to reach for greatness. As Kalidas deserts Mallika and moves to Ujjayini, his creativity begins to evaporate, though his fame and power continue to rise. His wife, Priyangumanjari, struggles in vain to replicate his native surroundings but “she is no substitute for Mallika. 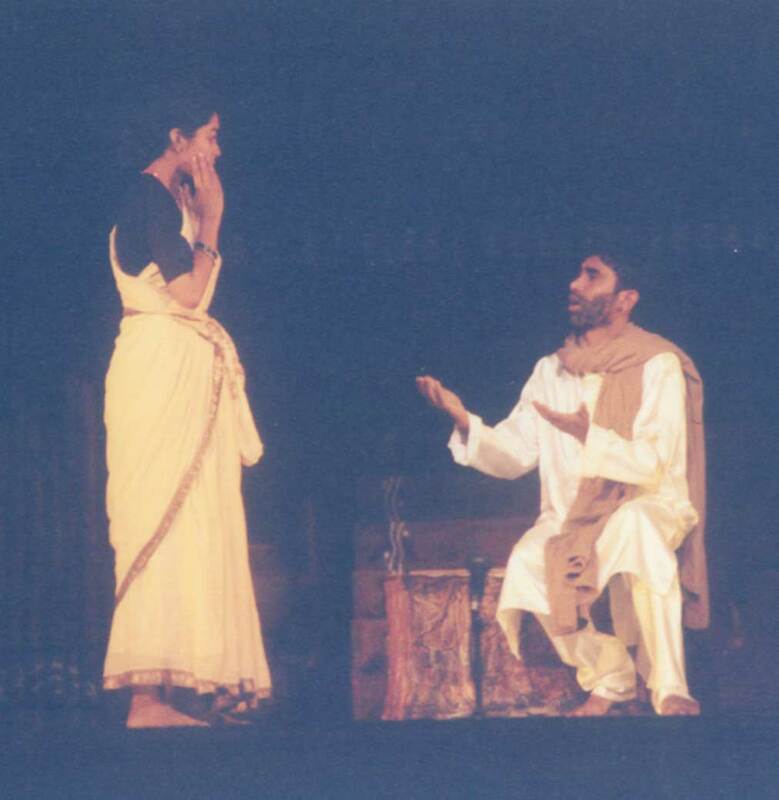 In the final meeting between Mallika and Kalidas at the play’s conclusion, Kalidas admits to Mallika that “that the man she had before her was not the Kalidasa she had known. He reveals to her that “Whatever I have written has been gathered from this life. The landscape of Kumarasambhav is this Himalaya, and you are the ascetic Uma. The Yaksha’s torment in Meghaduta is my own torment and you are the Yakshini crushed by longing. In Abhijnanashakumtalam, it was you whom I saw in the form of Shakuntala. Whenever I tried to write, I reiterated the history of your and my life.